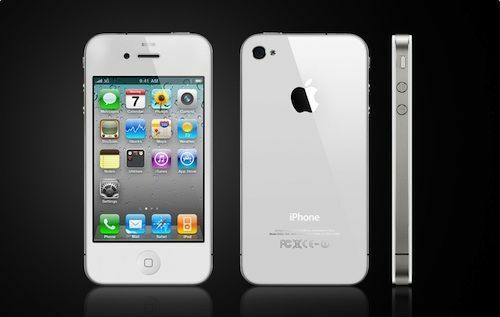 Today Apple released iOS 4.0.2 for iPhone 3G, 3GS, and iPhone 4 (iPod touch 2G/3G too). This is a minor update to firmware 4.0 that addresses a recent security vulnerability in the way Safari handles PDF files. iOS 4.0.2 also patches the JailbreakMe.com browser hack. Fixes security vulnerability associated with viewing malicious files PDF files. 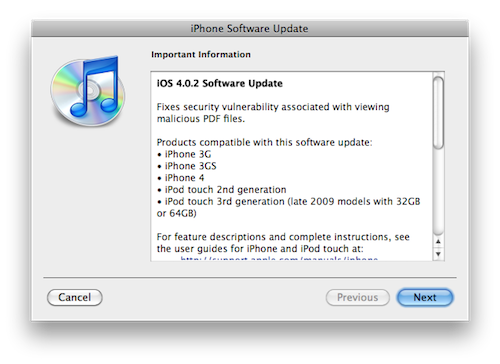 iOS 4.0.2 is available now in iTunes. Remember, if your iPhone is jailbroken and/or unlocked or you are thinking about jailbreaking and/or unlocking your iPhone, you should not immediately update to 4.0.2, as you may lose the ability to jailbreak and unlock.